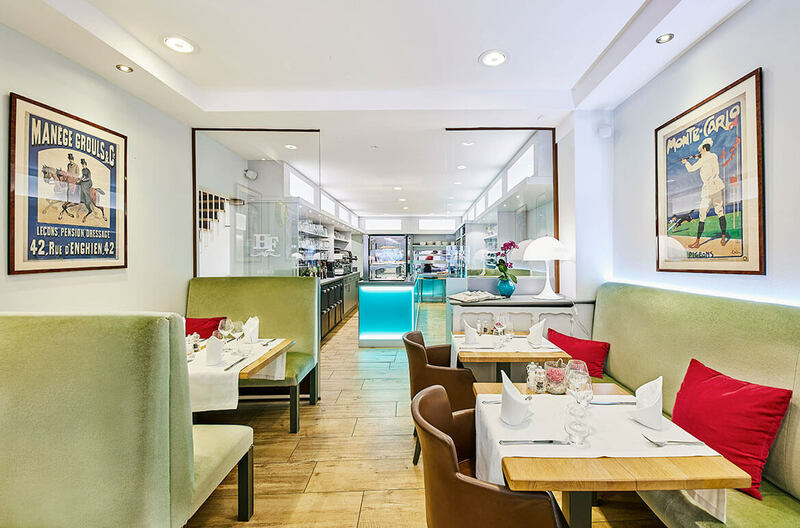 On the ground floor of the Hotel Français, the fully renovated Café Français restaurant / brasserie opens liberally to the outside. Its elegant setting and varied menu make it an essential address. 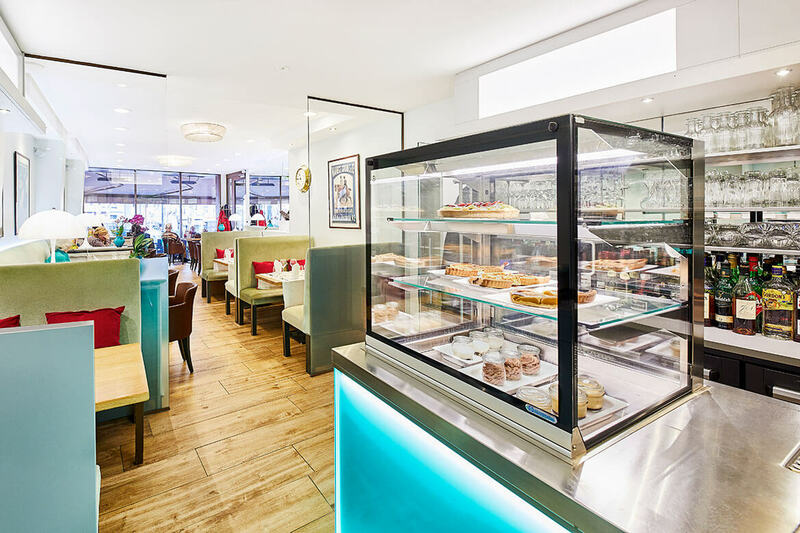 Combining bourgeois cuisine, market menu and snacks, this restaurant / brasserie has been able to assimilate a composite demand and attract a diversified clientele by the variety of its offerings and the quality of its products. Whether you are travelling for business or pleasure, looking for a small corner table for two or a large table for a group meal, you will find what you are looking for here. Fresh and seasonal produce, reinvented bourgeois cuisine, snacks and tea room in the afternoon, gourmet evening menu, and personalized service make this modern and cosy restaurant one of the friendliest addresses in Luxembourg. Kitchen open from 10h00 to 23h00. While waiting for the beautiful days and the opening of the large shaded terrace, an elegant and heated small Parisian terrace offers comfort and quality with a view onto the Place d'Armes. A room that can accommodate over forty people is at your disposal for meetings, seminars or family celebrations. The kitchen is open non-stop from 10.00 to 23.00.